Welcome to the Holiday Gift Guide Giveaway. This giveaway will have 20 winners, a new winner for each sponsored prize. Organized by: Mom Powered Media. Co-hosted by: Bay Area Mommy, My Dairy Free Gluten Free Life, Barbara's Beat, Giveaway Bandit, Slick Housewives, Love Me Some Coupons and Coupons and Freebies Mom. This year is a year of thanks and blessings in my family. We have so much to be thankful for and the upcoming holidays are creeping up on us fast! This year my family won't be all together like all the other Christmas' so its going to be different but, I'm trying to keep it as traditional as I can. Looking forward to the holidays and the upcoming new year. $25 Build-A-Bear Workshop Bear Buck$ Giveaway! 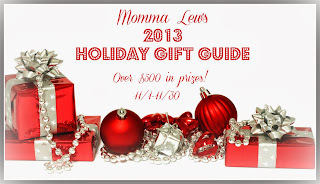 Welcome to a Momma Lew's Holiday Gift Guide event! 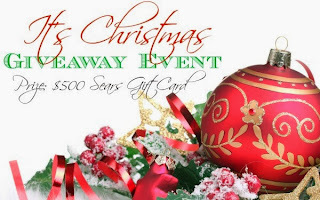 Make sure to check out the many other great giveaways for this Holiday Season!